What are the factors that affect a person’s life expectancy? 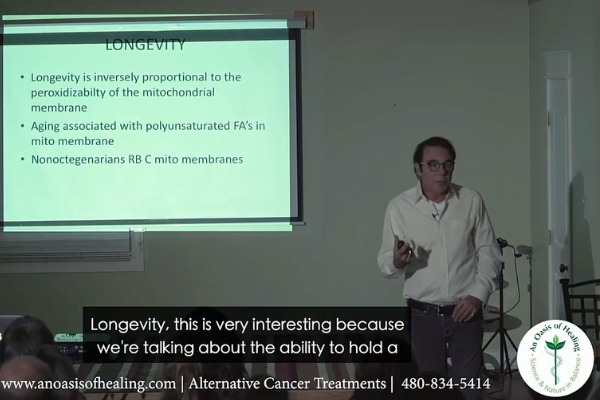 Integrative oncology and metabolic medicine expert Dr. Thomas Lodi tackles this in his latest video, where he talks about longevity. According to Dr. Lodi, longevity “directly relates to the body’s ability to hold a charge.” Why do some animals live longer than others? We are going to answer these questions for you in this article. One study found that “manipulating mitochondrial networks inside cells” can help increase life span and promote health. This can be done through genetic manipulation or dietary restriction. The mitochondria’s capacity to “dynamically change shape” according to energy demand declines with age but the study found that there is a causal link between these dynamic changes and longevity. This supports previously found scientific evidence showing that “low-energy conditions” like intermittent fasting and dietary restriction can help promote healthy aging. Mitochondrial health has also been linked to chronic inflammation and heart health. If a person constantly eats unhealthy food, the mitochondria—which creates the body’s most basic fuel from oxygen and the food we consume—will become overstressed, rendering it unable to break down cellular waste. The body will then become vulnerable as it is regularly exposed to toxins. And because the heart muscles have more mitochondria than any other body organ, it is important to keep the mitochondria healthy. He further cited that horses live between 25 to 40 years, while chimps live to an average of 55 years. Elephants also reap the benefits of a plant-based diet as they live between 60 to 90 years. Conversely, lions, tigers, hyenas, and wolves all live to an average of 15 years. A whole food, plant-based diet is “associated with lower mortality.” An article on the Journal of Nutrition noted that a diet rich in plant foods helps lower risk of death from heart disease and cancer, as supported by extensive scientific evidence. Other studies suggest that a diet rich in vegetables and fruits can help slow down or prevent cognitive decline. This is because plant-based diets have a higher number of plant compounds and anti-oxidants which slow down the progression of Alzheimer’s disease. A plant-based eating pattern can also be an effective tool in managing and reducing the risk of diabetes. For people with diabetes, it significantly helps in improving blood sugar control. Nutrition is a core aspect of An Oasis of Healing’s renowned comprehensive cancer care program. Visit their Arizona-based alternative cancer treatment center’s website to find out more about it. For insights on health and wellness, watch Dr. Lodi’s video lecture series or book an online consultation.